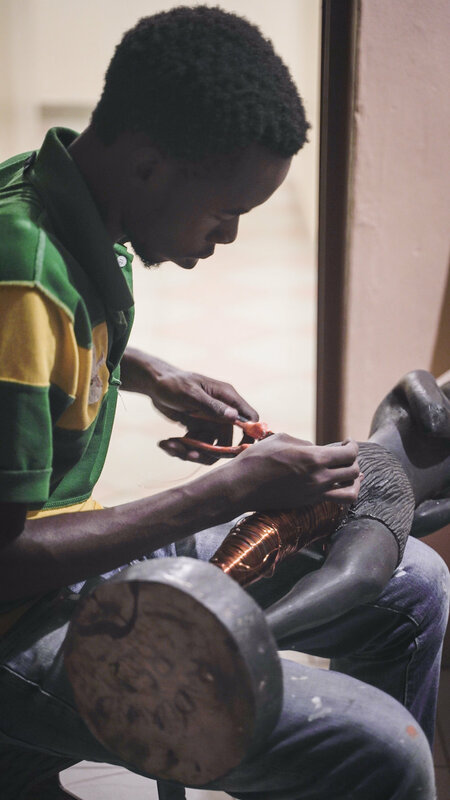 Remy is a sculptor and live painter currently studying visual design at the University of Rwanda. He graduated from Rwanda’s only high school for the arts, “Ecole d’Art de Nyundo” in 2017. 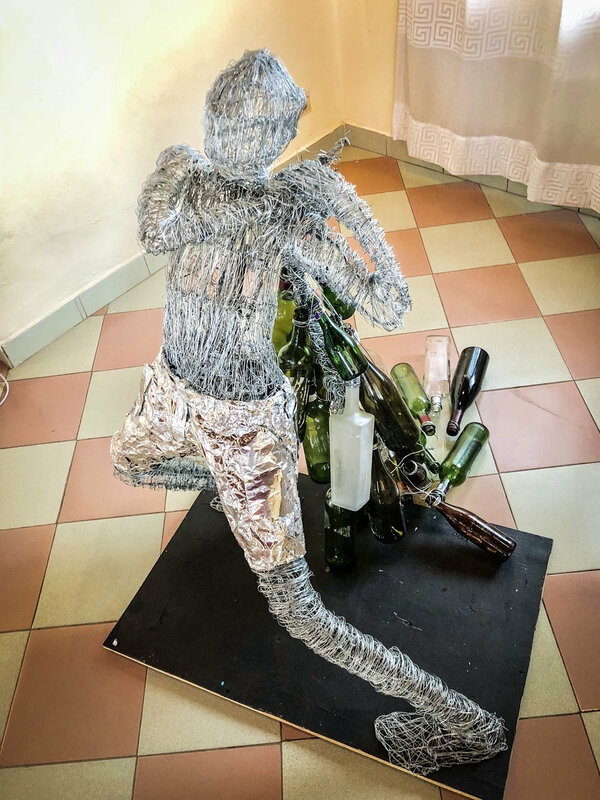 Remy reutilizes everyday materials such as wood, glass, wire, and discarded items to tell the stories of his sculptures. Themes of Rwandan culture and the struggle of everyday life are often portrayed in his works. The oldest of 4 brothers, Remy was initially discouraged by his family to pursue the arts but was determined to succeed- accepting small jobs painting advertisement murals on buildings in his village and doing portraits for commissions. Remy also performs live paintings at events around Kigali and was selected as a finalist among hundreds of artists in the Imbuto Foundation’s 2018 art competition. 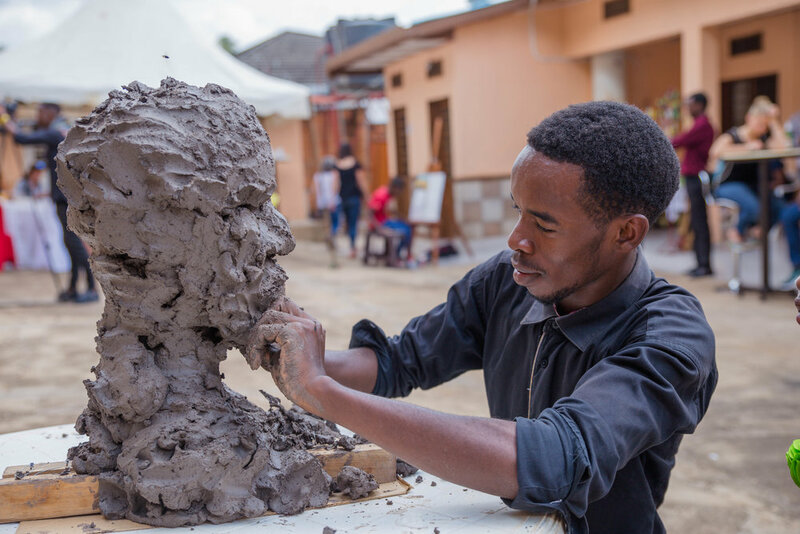 He was a featured artist at the Envision Rwanda grand opening exhibition in October 2018. Remy performs a double live painting at the Envision Rwanda grand opening exhibition. Large portraits of Nelson Mandela and Charlie Chaplin were both completed in 15 minutes.